Enjoy a day out catching trout these school holidays at the Alpine Trout Farm in Noojee. Head to the Alpine Trout Farm in Noojee these school holidays and enjoy a day out with the family. Sit amongst the beautiful surroundings as the kids enjoy a day of catching trout. Families have the option of cooking their catch on the available barbecues or taking it home to cook for dinner (ice is supplied). Entry to the Alpine Trout Farm is free and rods, bait, nets and buckets are supplied. Customers just have to pay for the fish they catch. Fresh smoked trout and dips are available to purchase in the farm’s shop and dam stocking is also available. 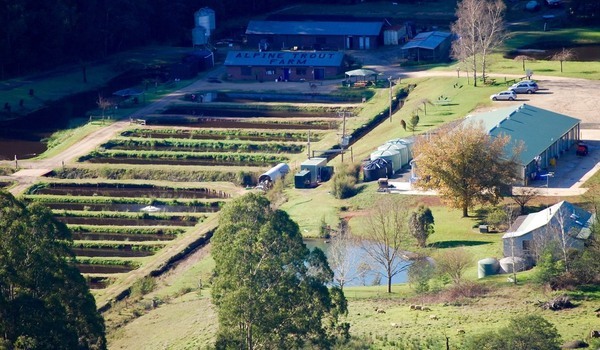 The Alpine Trout Farm is located at 115 Mt Baw Baw Tourist Road in Noojee and is open from 10.30am to 5.00pm on weekends public holidays and all school holidays. For more information, phone 5628 9584 or visit www.alpinetroutfarm.com.au.